Discover the beauty of Ausable Chasm at night! 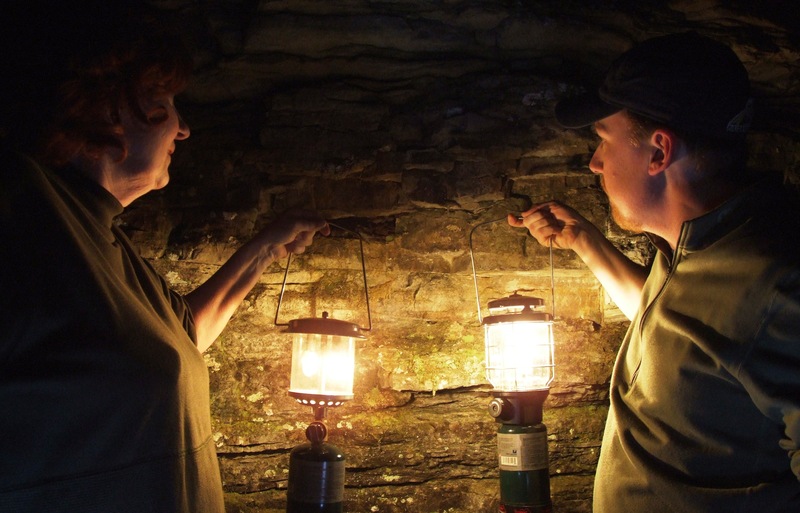 Our "Lantern Tours" are our only nighttime tour. This includes a community campfire and marshmallow roast on Table Rock, inside the chasm! Available Wednesdays, Fridays, and Saturdays (Summer Only). Tours begin from our Gatehouse Entrance locate on the south side of the Route 9 bridge (opposite side of the river from our Welcome Center) - ample parking is available on both sides of Route 9. Discount for campers is applied to campground reservation at check-in. Reservations required. Due to the late hours of Lantern Tours, we request that children under the age of 10 not accompany us on the tour. Campfire and marshmallow roast is river and weather dependent. Tour times start at DUSK. Call Ausable Chas Co at 518-834-7454 or Ausable Chasm Campgroundat 518-834-9990 for more information. All sales final: No cancellations. No refunds. Please notify us ahead of time if a late arrival is probable. There is a 15 minute grace period for late arrivals and at that point you will be considered as a no show. A late arrival could diminish the experience of other paying guests and for this reason, tardiness of greater than 15 minutes without notification will result in forfeiture of your reservation without refund.